This heritage district home built in 1874 was previously renovated for several commercial uses and suffered from poor craftsmanship and a mess of mechanical adaptations. Windrush’s renovation returned this home to its former glory adding a contemporary twist. A massive double brick wall was removed to create space for the new kitchen. 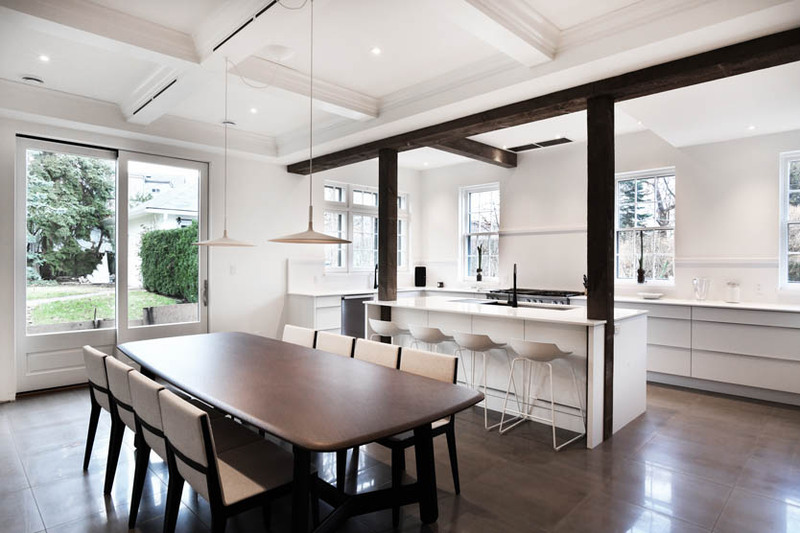 Steel beams and posts clad in reclaimed wood are paired with a traditional box ceiling resulting in an expansive space with both heritage charm and a contemporary vibe. 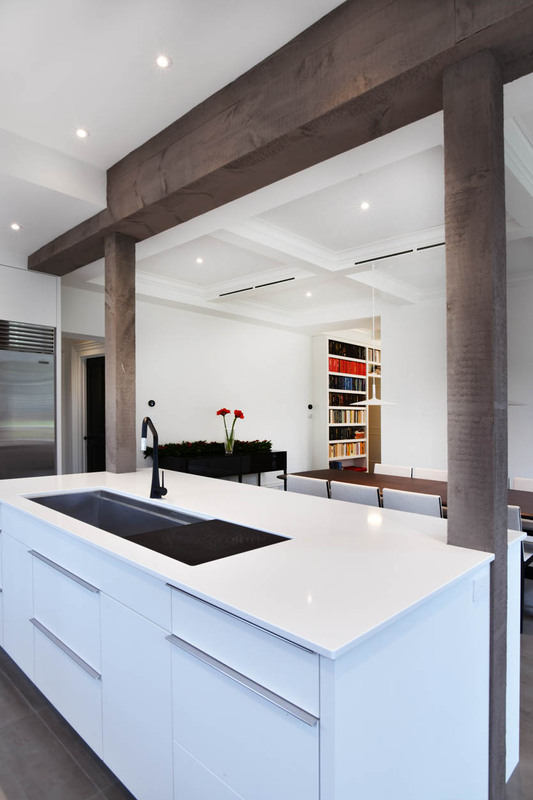 The kitchen opens onto a large dining room and a library beyond creating a seamless entertaining space. The home’s upright radiators were removed and replaced with hydronic in-floor heating. 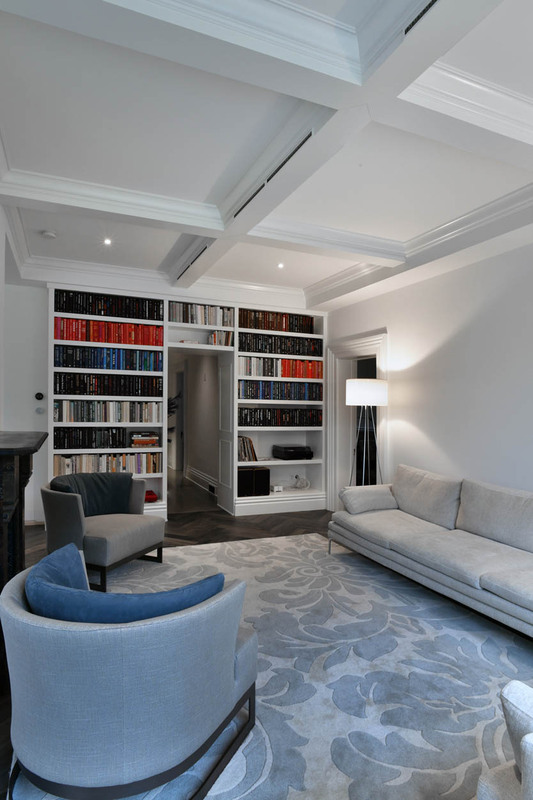 Box beam ceilings continue into the home’s library and sitting area. 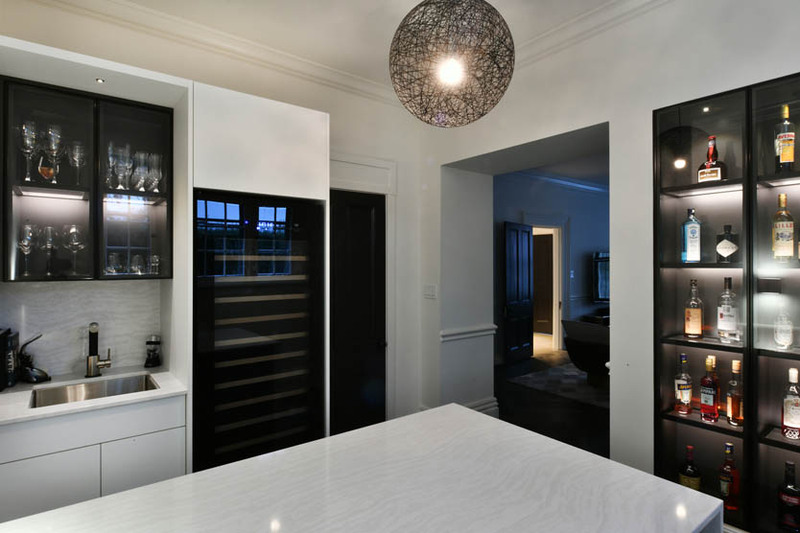 A room dedicated to the homeowner’s whisky collection features sleek white cabinetry, elegant countertops, and custom illuminated display cabinetry. 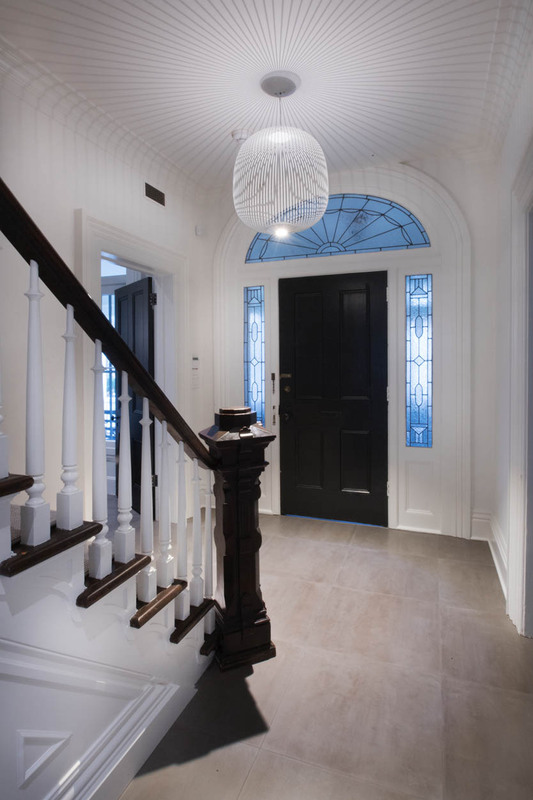 The foyer respectfully maintains the home’s historic architectural features while hinting to the contemporary spaces that lay beyond with a sculptural light fixture. This home built in the ‘80s underwent a ‘top to bottom’ renovation taking it from drab, to fab.